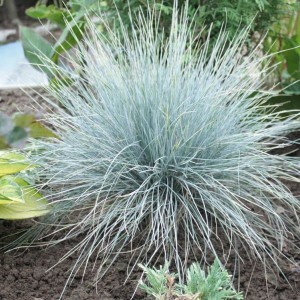 Festuca belongs to perennial grassy plants of the family of Poaceae. This culture in mountainous areas of the Central Europe and Transcaucasia arose. The festuca can be met practically in all not tropical zones of the planet, at least 150 types of this decorative cereal are known today. Each species of a fescue is in own way unique. Height of plants can vary from 20 cm to one and a half meters, appearance is also very various. At one types leaves wide linear, at others – put lengthways. Some species of festuca differ in creeping rhizomes while other types have no such roots.